George Street Playhouse’s Educational Touring Theatre, courtesy of support from The Horizon Foundation for New Jersey and RWJBarnabas Health, will premiere a new musical about the opioid crisis and its impact on teens and families. This original musical was developed in response to the devastating impact prescription opioid misuse, heroin, and fentanyl have had on communities throughout New Jersey. 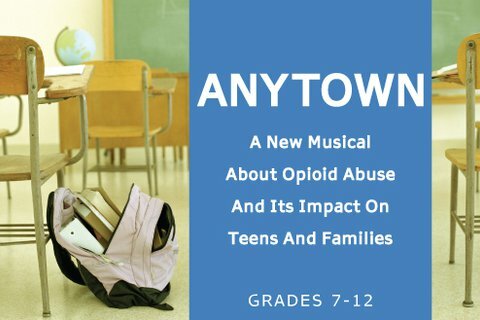 Anytown will premiere as part of a special Spotlight Conference on Opioid Abuse. The Spotlight Conference will feature a keynote address from New Jersey State Attorney General Gurbir Grewal along with workshops for educators, school administrators, and public health professionals conducted by experts in the field from RWJBarnabas Health’s Institute for Prevention and Recovery.